ZEELAND, Mich., Aug. 15, 2018 /PRNewswire/ -- Herman Miller, Inc. (Nasdaq: MLHR), the global designer and furniture manufacturer, announced today that Andi Owen has been elected by the Board of Directors to succeed Brian C. Walker as the Company's next President and Chief Executive Officer, effective August 22, 2018. Ms. Owen was also elected to the Company's Board of Directors as of August 22. 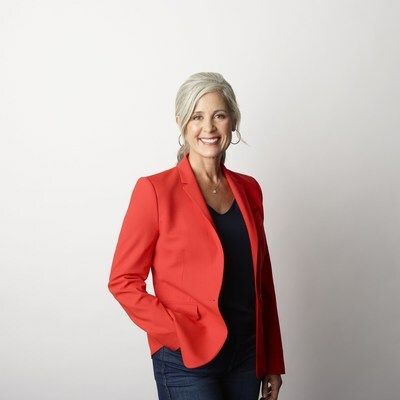 She joins Herman Miller after a 25-year career at Gap Inc., where she most recently served as Global President of Banana Republic, leading 11,000 employees in over 600 stores across 27 countries. The appointment is part of a previously-announced leadership succession planning process. Michael A. Volkema, Chairman of the Board, stated, "We are deeply grateful to Brian for his leadership and many achievements during his long career with Herman Miller. The Company remains focused on the strategy Brian put in place, which has collectively grown the business, expanded our multi-channel capabilities, and accelerated the Company's positive momentum." Mr. Volkema added, "Under Andi's leadership, the business will seize opportunities that will lead to growth in new markets for both contract and consumer customers. Andi has the right gifts, talents, and expertise to accomplish this mission. She understands how to realize the potential of a brand amidst changing customer preferences and habits. We are thrilled to welcome her onboard." Ms. Owen's areas of strength are highly complementary to Herman Miller's leadership team comprised of extensive contract furniture expertise and a growing retail capability. Over her tenure at Gap Inc., her career spanned many verticals and brands within the business. She has developed a diversified skillset that aligns with the strategic direction of Herman Miller today and ranges from digital and omni-channel transformation to design, product development, and supply chain management. Art Peck, President and Chief Executive Officer of Gap Inc., stated, "I am confident in Andi and her abilities. She had a long and successful track record across Gap's portfolio of brands, and I am excited to see where her vision and leadership will take the iconic Herman Miller brand in the future." Her accomplishments include developing new "digital first" growth strategies, introducing innovative marketing and new customer acquisition strategies, and driving global expansion in key markets. Ms. Owen achieved impressive results with a focus on building people-first teams. Her values-centered approach is shared by Herman Miller. Mr. Walker stated, "Herman Miller is only just beginning to scratch the surface of our addressable market opportunity. Andi's experience driving results as a seasoned leader, coupled with our outstanding leadership team, will take our family of brands to the next level. This is an exciting time for the Company, and I look forward to working with Andi on a seamless transition." Ms. Owen stated, "Herman Miller has a reputation for being the best in the business. It is a privilege to lead the Company and continue the evolution of its world class portfolio of brands. I'm excited to work with the management team and the broader organization to build upon the legacy of innovation and design excellence that is at the heart of Herman Miller." Andi Owen will become Herman Miller's next President, Chief Executive Officer and member of the Board, effective August 22, 2018. From 2014 until 2017, Andi served as Global President of Banana Republic, a $2.8 billion brand. She led all facets of this global omni-channel division, which sits under Gap Inc.
Herman Miller is a globally recognized provider of furnishings and related technologies and services. Headquartered in West Michigan, the 113-year-old company has relied on innovative design to solve problems wherever people work, live, learn, and heal. With recognizable designs as part of museum collections worldwide, Herman Miller is a past recipient of the Smithsonian Institution's Cooper Hewitt National Design Award and has been ranked number one on Contract Magazine's list of "Brands that Inspire" for four straight years. Known and respected for its leadership in corporate social responsibility, Herman Miller has earned numerous global sustainability and inclusivity awards including the Human Rights Foundation's top rating in its Corporate Equality Index for 11 years in a row. In fiscal 2018, the Company generated $2.38 billion in revenue and employed nearly 8,000 people worldwide. Herman Miller trades on the NASDAQ Global Select Market under the symbol MLHR. This release contains forward-looking statements within the meaning of Section 27A of the Securities Act of 1933, as amended, and Section 21E of the Securities Exchange Act, as amended, that are based on management's beliefs, assumptions, current expectations, estimates, and projections about the office furniture industry, the economy, and the Company itself. Words like "anticipates," "believes," "confident," "estimates," "expects," "forecasts," "likely," "plans," "projects," and "should," variations of such words, and similar expressions identify such forward-looking statements. These statements do not guarantee future performance and involve certain risks, uncertainties, and assumptions that are difficult to predict with regard to timing, extent, likelihood, and degree of occurrence. These risks include, without limitation, the success of our growth strategy, our success in initiatives aimed at achieving long-term cost saving goals, employment and general economic conditions, the pace of economic recovery in the U.S., and in our International markets, the increase in white-collar employment, the willingness of customers to undertake capital expenditures, the types of products purchased by customers, competitive-pricing pressures, the availability and pricing of raw materials, our reliance on a limited number of suppliers, our ability to expand globally given the risks associated with regulatory and legal compliance challenges and accompanying currency fluctuations, changes in future tax legislation or interpretation of current tax legislation, the ability to increase prices to absorb the additional costs of raw materials, the financial strength of our dealers and the financial strength of our customers, our ability to locate new retail studios, negotiate favorable lease terms for new and existing locations and implement our studio portfolio transformation, our ability to attract and retain key executives and other qualified employees, our ability to continue to make product innovations, the success of newly-introduced products, our ability to serve all of our markets, possible acquisitions, divestitures or alliances, the pace and level of government procurement, the outcome of pending litigation or governmental audits or investigations, political risk in the markets we serve, and other risks identified in our filings with the Securities and Exchange Commission. Therefore, actual results and outcomes may materially differ from what we express or forecast. Furthermore, Herman Miller, Inc., undertakes no obligation to update, amend or clarify forward-looking statements.